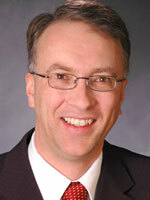 As BC Liberal MLAs, Harry Bloy and John Rustad have no say in party policy. They might not have any say in their committee work, either. Bloy and Rustad might have been just following orders. 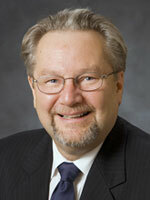 NDP MLAs Mike Farnworth and Leonard Krog are influential members of their party. Yet they went along with the BC Liberals in Lowes appointment. in preserving a biased police complaint process. NDP MLA Mike Farnworth seems downright gleeful now that hes forced Solicitor General Kash Heed to withdraw from debate over the governments amendments to the Police Act. But no one on either side of the legislature  least of all Farnworth  has any right to make lofty pronouncements about B.C.s system for handling police complaints. 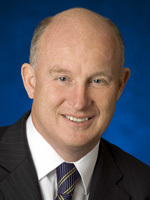 The NDPs only objection to Bill 7 is the lack of retroactivity, which would affect a complaint made against Heed when he was West Vancouver police chief. But there are other, more serious problems with our police complaint process. For this, the NDP shares blame with the BC Liberals. Bill 7 will preserve the system of police investigating police. The police investigation then gets something called oversight from people very close to the police  Stan Lowe and his crew of ex-cops. Farnworth is well aware of this. In fact he helped appoint Lowe to the police complaint commissioners job. Last December, in his previous job with B.C.s Criminal Justice Branch, Lowe took part in the decision to exonerate the four RCMP officers involved in Robert Dziekanskis death. Lowe claimed that the five Taser shocks and other police actions were reasonable and necessary. Lowe claimed Dziekanski was resisting arrest, when in fact he was writhing in pain. Lowe tried to smear Dziekanski with irrelevant information that the RCMP dug up in Poland. Lowe wasnt just the spokesperson for this decision. As a member of the CJB executive management, he took an active role in its unanimous decision. Now, thanks in part to Farnworth, Lowe is in a position to make similar decisions on behalf of B.C.s municipal police. 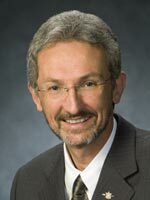 Lowe was appointed by a five-MLA committee consisting of BC Liberals Harry Bloy, John Rustad and (since defeated) John Nuraney, along with NDPers Farnworth and Leonard Krog. They announced Lowes appointment just one week after the CJB decision was released. Krog, the opposition critic for Attorney General, described Lowe as having considerable experience as a lecturer on legal topics related to police training and the appropriate use of force. This, just one week after Lowes notorious Dziekanski decision. It gets stranger. On May 30, Farnworth actually attended a fundraiser for Dziekanskis mother, Zofia Cisowski. The fundraiser was necessary largely due to the cost of campaigning for Poland to pursue criminal charges against the Mounties involved in her sons death. That would be unnecessary were it not for the decision by Lowe and the CJB, which Farnworth implicitly supported. Probably more than any other single case, Dziekanskis death shows the need for truly accountable police. While provincial legislation doesnt affect the RCMP, it could provide accountability for municipal forces and set an example for the Mounties. B.C. could create a system in which police complaints are investigated not by other police, but by civilians  and, unlike Lowe and his crew of ex-cops, civilians free of one-sided loyalties. If the government doesnt want to do that, the NDP could raise hell. The Dziekanski case is just the most prominent of many recent examples of police wrongdoing. Public opinion would support the NDP. But for reasons best known to themselves, the NDP opposition is helping the BC Liberal government preserve the status quo. December 2009 update: Both parties passed Bill 7 during the autumn 2009 legislative session. The NDP continues its support for the BC Liberal con job on police accountability. Some serious problems with the BC Liberal legislation that the NDP supports.